Please note: this clock has now moved to York Art Gallery. 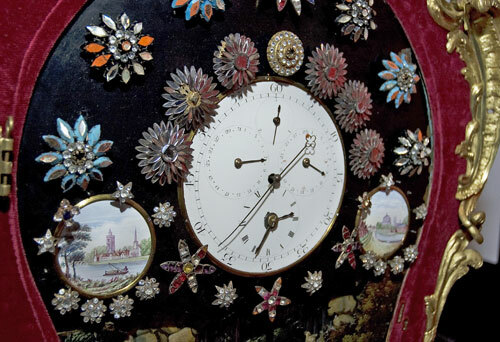 This extravagant highly decorated clock featuring moving figures and sound dates from the 1780s. In 2011, the clock underwent restoration and was repaired to its former glory. 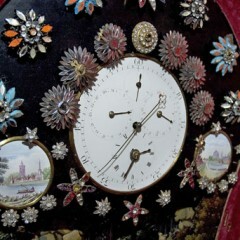 The case is mid 18th century and continental in style. It was probably made for export to China or the Far East. 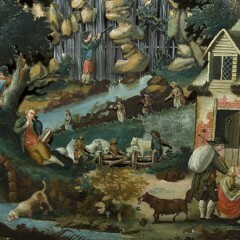 Although it is now covered in red velvet it would have originally been painted or lacquered. 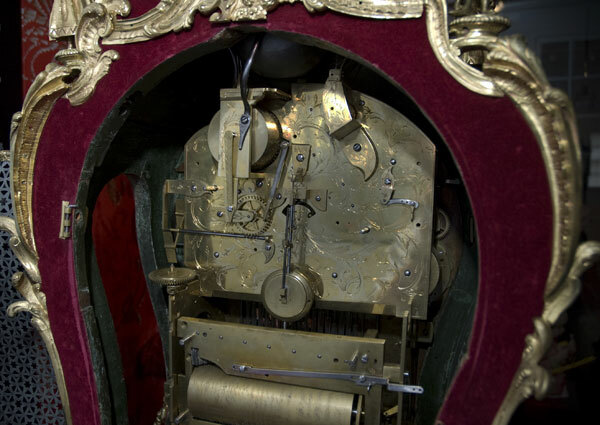 The clock movement and dial are English and date from the 1770s. 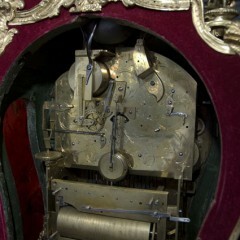 The clock was altered in the 19th century and the music box is a replacement. The clock chimes every quarter of an hour and the figure of Hercules at the top strikes the hours. When the automaton is activated the four dancing figures at the base of the temple at the top spin round and the stars rotate. The glass rods also revolve to give the impression of waterfalls. 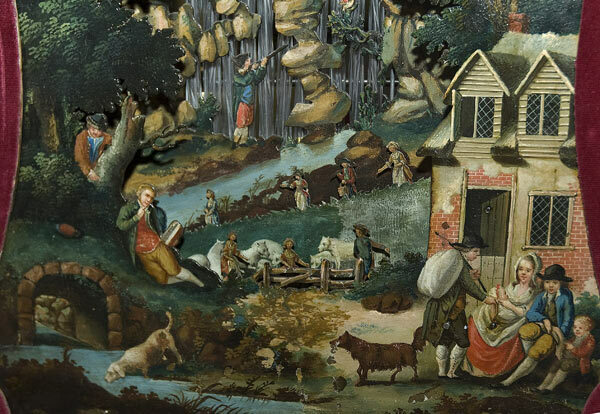 A procession of 26 figures moves across the front of the clock, while at the back, more figures are seen crossing the bridge between the two water wheels. The clock was given to the museum in 1974 by Edward Lamb in memory of his mother, Mary Alice Lamb, and his grandfather, Thomas Child.